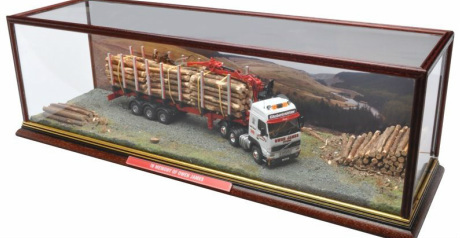 Your world leading scale model will have pride of place, on show, at the recipients common place of work or leisure, for all onlookers to enjoy and is often a talking piece - so, sitting on it's lonesome will not do it justice!! * Clear Cases for realism. * Stands & Custom Stands. ... especially with your Scale Model Vehicle. Firstly, your resulting piece (or pieces) is ANYTHING but normal! Your commissioning of a 'Custom' Scale Vehicle Model is just that; such work is always custom and bespoke to your requirements! 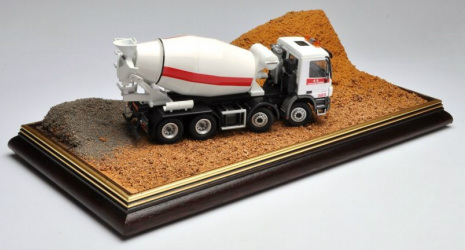 your world leading scale model will have pride of place, on show at the recipients common place of work or leisure, for all onlookers to enjoy and is often a talking piece - so, sitting on it's lonesome will not do it justice!! ... all with your bespoke finish. Dioramas, Cases, Acrylics and Stands. ... for that finer customised finish. 'Printed backgrounds' or themed 'plate graphics' can make the world of difference to a unit's presentation and ornamental values - sometimes even adding to the realism (see log carrier on the right). Silk lined Presentation Boxes with personalised Certificates. Traditional Wood & Glass Cases. Contemporary Acrylic cases with stylish custom designed base label.